'Queen As Folk' Limited Edition Art Print kwa Coulson Macleod. 'Queen As Folk' Limited Edition (x 250) Canvas-Mounted Distressed Typographic Art Print available to buy from. 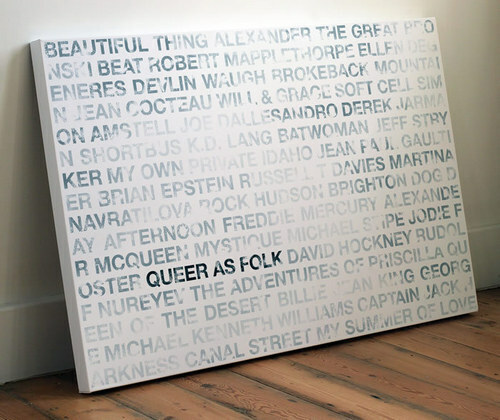 Wallpaper and background images in the LGBT club tagged: coulson macleod queer art limited edition canvas print design distressed typography typographic art.